Packaging patterns have changed over the years and has given way to more sophisticated, functional and practical casing systems. So whereas the purpose has remained same, which is to store items, more options have cropped up for storing necessities. Now before venturing into various types of packaging and their purpose, here is a brief look at what encasing is. It is a technology that is used to enclose products for storage purpose, distribution, sale or use. It refers to as production, design and processing of packages. It is also a way of docking goods for warehousing, sale, logistics, transport and later use. This process is undertaken to store, inform, retain, safeguard, contain, transport and sells purpose. At times wood, jute, cork and ceramics are also used as casing. There are several other types that falls under these broad categories. Primary – this is referred when products come in direct contact with wrapping materials. In simpler words, it is the first layer in which merchandise are stored. Many times this type of wrapping is done with commodities stored inside. This is done to keep products in storage for longer period of time. It also keeps products completely sealed for many days. Examples include shrink wrapping, blister packs, paperboard cover, and clamshell wrap. Secondary – Also known as ‘grouped’ encasing, in which primary packages are stored. It is also used so as to group many numerous pre-cased commodities. Secondary wrappings do not come in direct contact with products. Its application and benefits are different from primary packing style although the purpose remains unchangeable. It also contains a number of purchase units. Example include, counter display or self ready cases, where packed merchandise are kept for visual representation. Tertiary – this is used in case of storage in ware houses, bulk handling, and transport shipping. Consumer type - fundamentally designed for appeal, convenience, display and marketing keeping consumers in mind. Main focus remains on marketing of stock. Industrial type - designed for safety during transportation, and convenience. Focus remains on logistics. There are few factors that are kept in mind during designing packages and cartons. 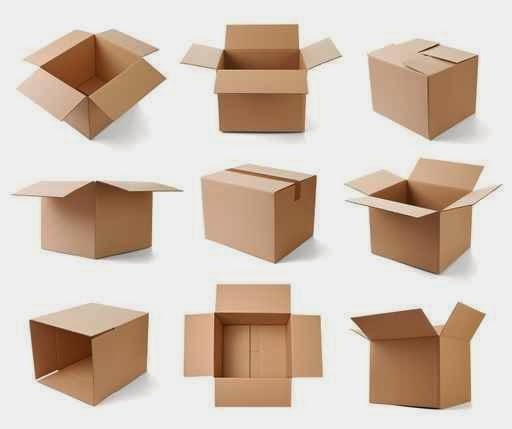 Now, a particular type of casing is referred as cartons. They are basically containers generally made of corrugated fiber board, composite materials, and at times paperboard. These are usually used in marketing, casing and displaying products. Usually shaped in cuboids, these can be found in other shapes as well. Folding carton – this type is refers to cylindrical, broad shaped and laminated, usually made from scrap material or processed scrap paper. These are cut and folded and then arranged accordingly during shifting or transportation purposes. They are sold in flat blanks like trays and later amassed into its final shape by the packager. There are various sizes available for this type of carton and it is capable of holding few kilograms or pounds of material. Regular slotted – Flaps on both ends and they meet to close it. Half slotted- Open top square box with flaps on one end. Five panel folders – rectangular flat shape used to ship long items. Full Overlap – Square hollow box with same length flaps which overlaps at a point when closed. One piece folder- flat bottom with flaps on both side and ends. Gable top- usually designed for storing and transportation of liquid items. Still want to know more? Then go to the details and get more information.